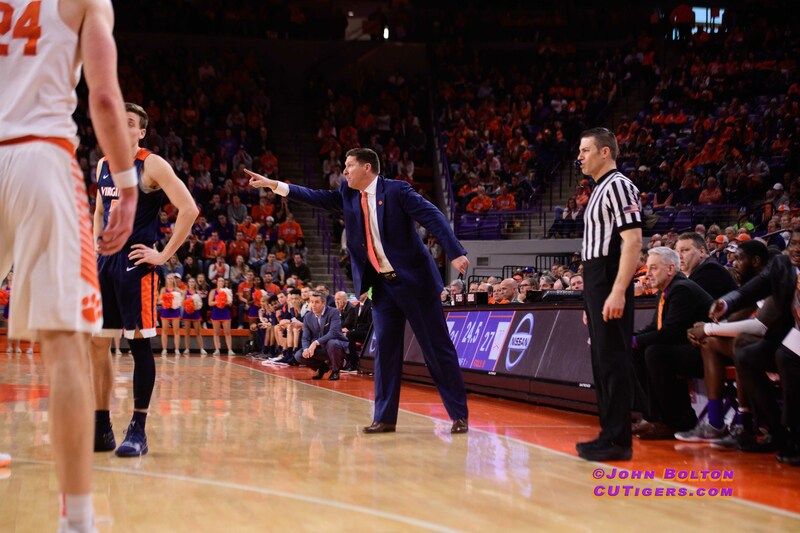 CLEMSON, SC - I mentioned it to Brad Brownell back in October: it was a really tough way to open the ACC schedule. At #1 Duke, at Syracuse and undefeated #4 UVA at home. I still believe this is a good team, however. Despite the great season last year, the Tigers lost 3 in a row at the end of the season when Mitchell got a concussion in the overtime loss at FSU. Coincidentally, they ended the losing streak with a home win over Tech and won 5 of their next 7. 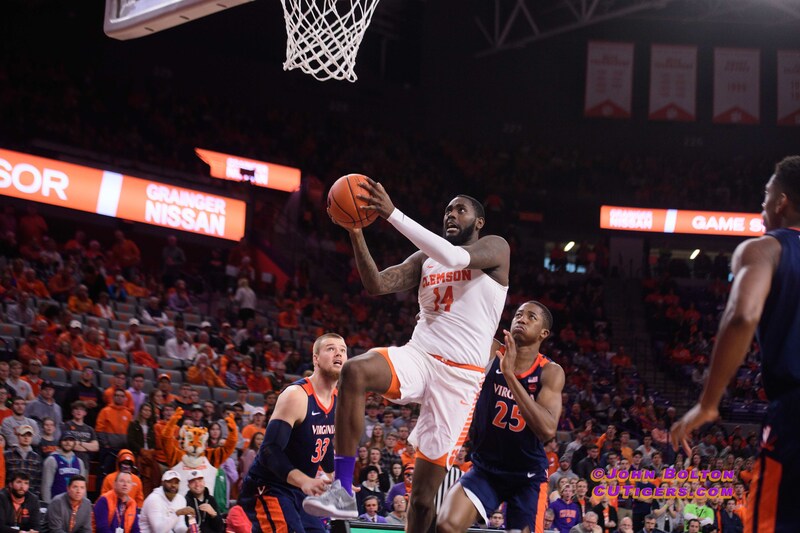 Brownell said he liked the way his team competed in the second half, unlike the Duke game last week, and he thought they've played much better defensively over the last two games since the loss at Duke. Marcquise Reed, as usual, led the Tigers in scoring with 14 points, about 6 points below his average. Skara added 9 points and Eli Thomas scored 8. 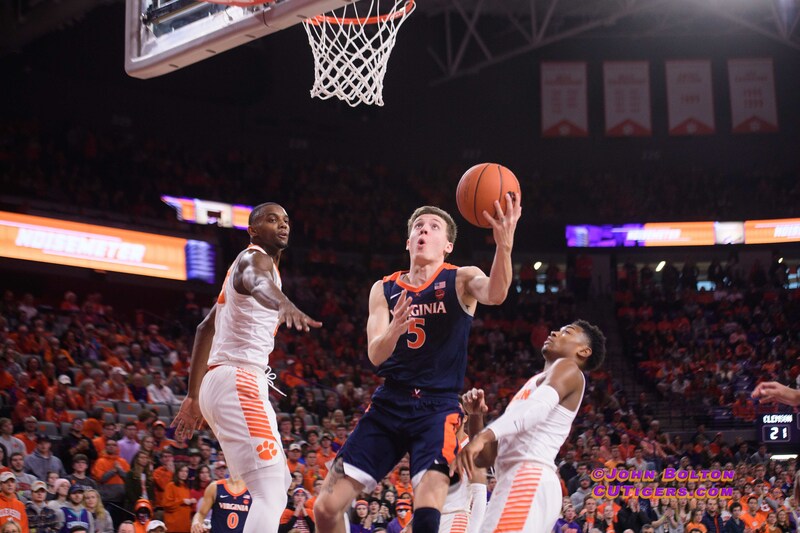 Virginia's offensive star Kyle Guy went on a tear to start the game and give the Cavs an early lead, but Shelton Mitchell and company did a good job limiting him after that. He was just 5-15 for the game after shooting 70% from beyond the arc over his last 4 games. UVA typically doesn't win because of its offense, however. The Cavs came in with the top ranked scoring defense in the land and #2 three-point defense. The Tigers were just 15.8% beyond the arc and 26.9% from the field against that stifling pack line defense that Tony Bennett has made famous. 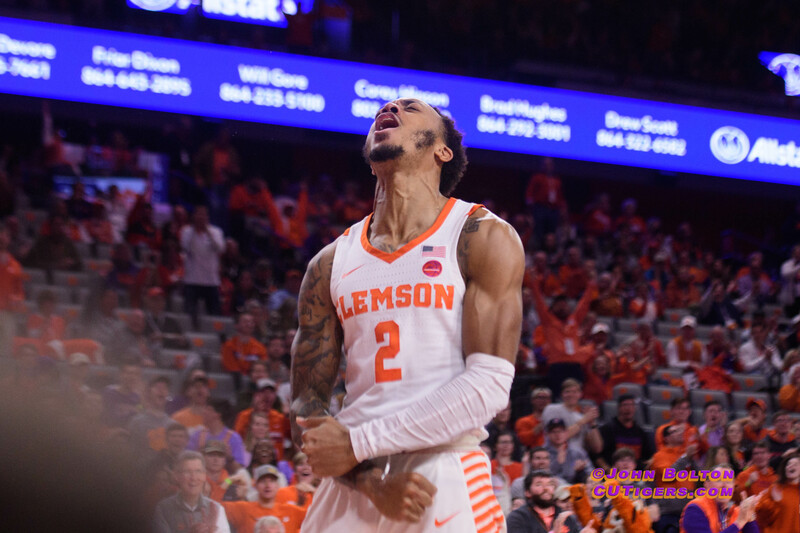 The Tigers can turn things around with a much-needed home win against Georgia Tech on Wednesday, but will the fans show up for a 9:00 game in the middle of the week? 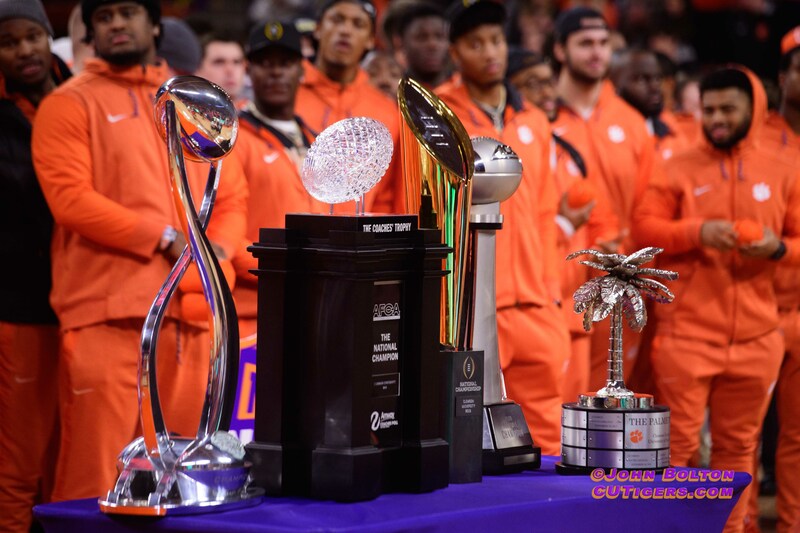 It was the best crowd of the season by far on Saturday, thanks in large part to the spill over from the morning's National Championship Celebration. 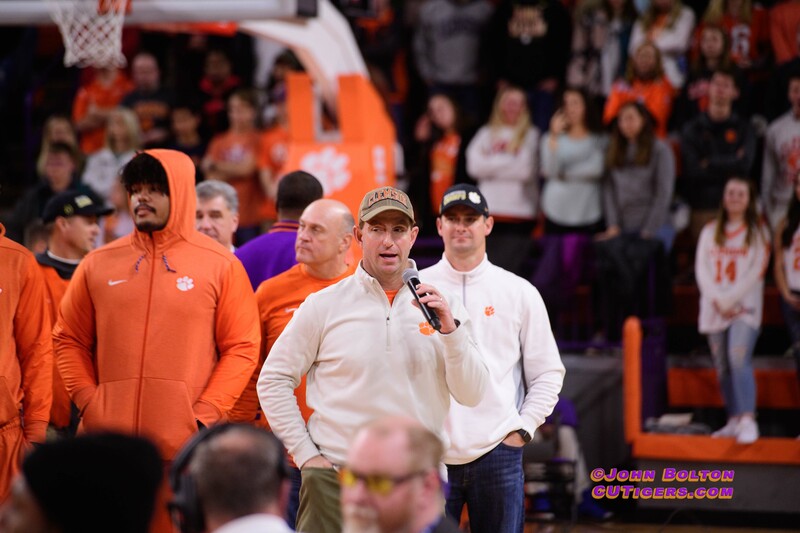 Now that football season is over, Brownell and the Tigers need the fans to start filling Littlejohn and help the team create some positive momentum against the toughest conference in the nation. 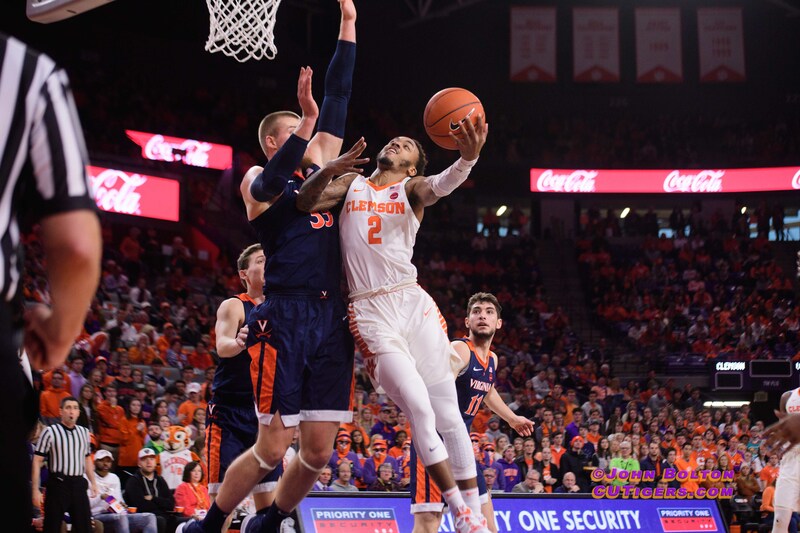 Brownell is 14-4 against Georgia Tech and 8-0 at home.